*Many thanks to Mr. Coffee for gifting me these awesome coffee machines and for sponsoring this post! 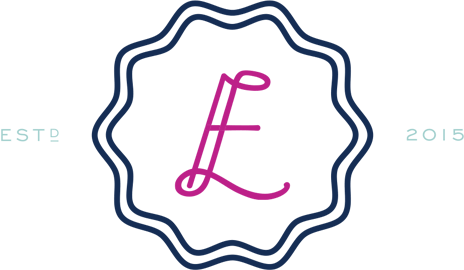 As always, the thoughts and opinions expressed below are entirely my own. I’m a parent, thus I drink coffee! A lot of coffee. LOL. Is there anything better than a perfectly brewed cup of coffee or espresso? I’ve created a routine where drinking coffee in peace, before my kids wake up, has become a cherished part of my day. “Me Time” at its best! Over the years, Kyle and I have spent so much money on Barista-made coffee house drinks that we could probably open up a store for all of the things we should have bought instead. It’s a bit embarrassing, and I know we aren’t alone! Those drinks add up. 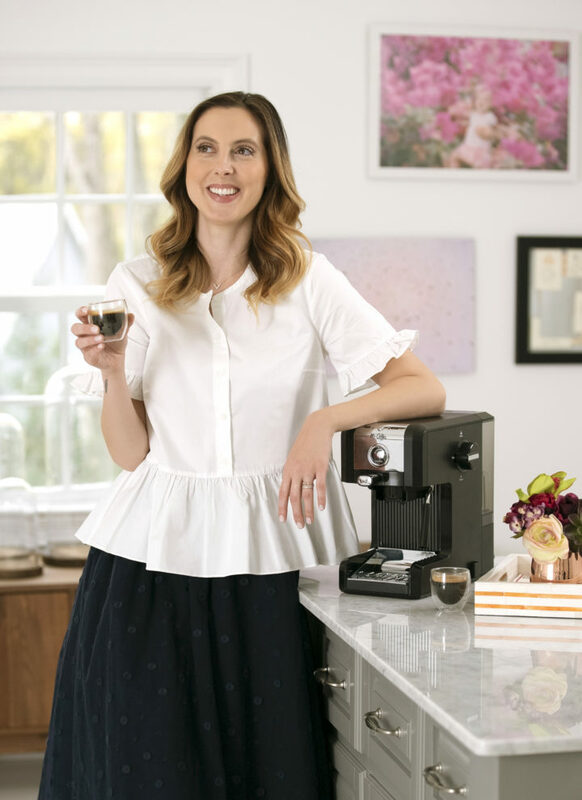 It’s been a big New Year’s resolution for us to start making our favorite coffee drinks at home, and I’m so excited to tell you that I’ve finally found the best and easiest way to make them: the new products from Mr. Coffee! Mr. Coffee is the OG coffee maker brand, I remember we had one growing up and so did all my friends! At that point it was still just the drip variety, but with technology creating so many new opportunities in the coffee space, Mr. Coffee has kept up with the times and is innovating! 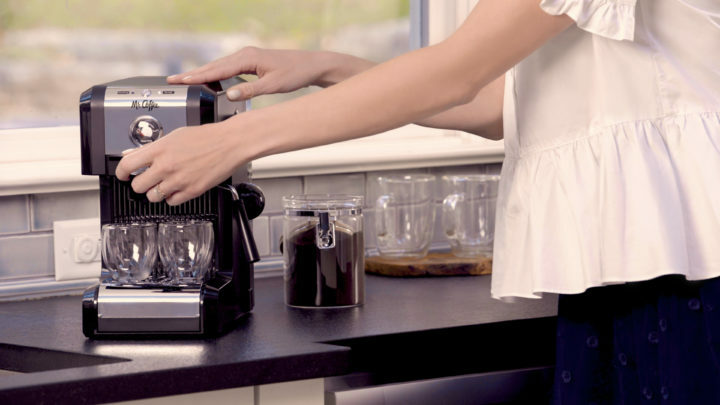 They recently launched two new products that I’ve been using in our home, and Kyle and I are total smitten: The Mr. Coffee One-Touch Coffee House and the Mr. Coffee Easy Espresso. I shot a couple of videos with the Mr. Coffee Team showing you guys how I use them every day, and what my favorite aspects of each are. The videos are below, but I’ll recap a bit for you here, too. The Mr. Coffee One-Touch Coffee House makes it so that you can eliminate the local Barista from your life! 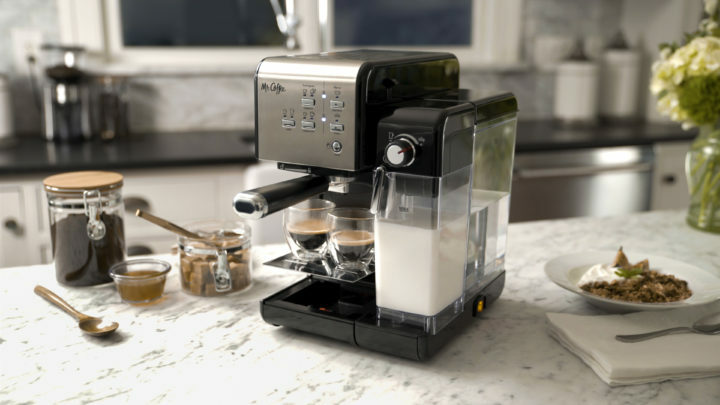 You can make all your favorite espresso drinks super easily, and with whatever milk you choose. I like to be able to put my non-dairy milk in there! The machine self cleans really easily after use, and is super intuitive. You can use the espresso of your choice to make the experience as deluxe as you wish. Kyle is kind of an espresso snob, so he loves that he gets to choose the beans! 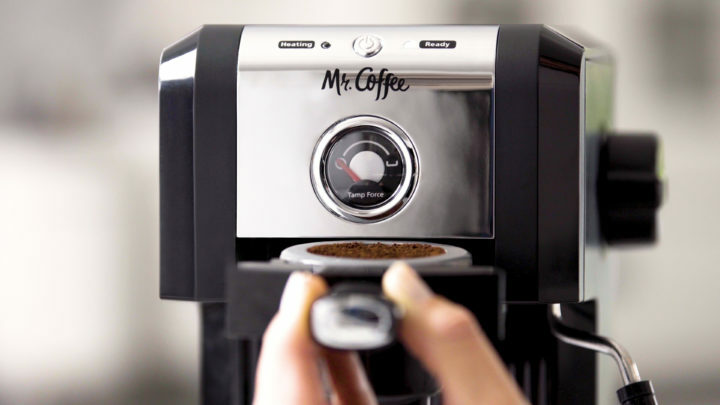 The Mr. Coffee Easy Espresso is pretty self explanatory. LOL. It’s the easiest, most foolproof way to make espresso ever! 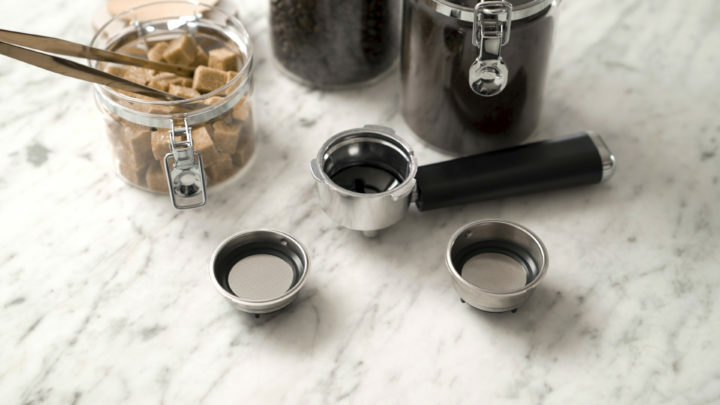 It’s self tamping, has a 15-bar Italian pump system for optimum flavor extraction, and can accommodate a variety of cup sizes or styles of beverage. 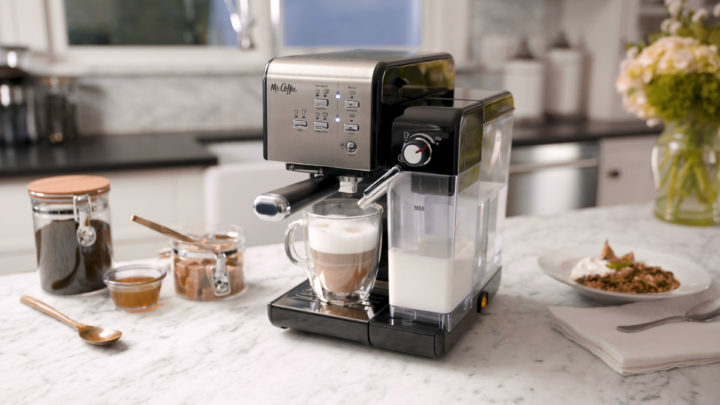 It has a milk frother too, so you can add some yummy foam if you’d like! I love how I can make a couple of delicious shots of espresso for guests after a big dinner party, or I can froth milk to make myself a cappuccino in the morning. All from the same machine! Kickstarting my day with a great cup of coffee just sets my mood for the entire day, and helps me stay on track with everything I have going on. It’s also pretty fun to pull out all the stops for guests when they come over! Who even needs to go out anymore? And with a long Winter right around the corner, sometimes going out for coffee isn’t even an option. Luckily I’ve brought the coffee house to me! The latest latte I love making is mixing a tiny pinch of cinnamon in with the espresso. I add Goat Milk which is so creamy, and sweeten with agave! What’s your favorite coffee drink?